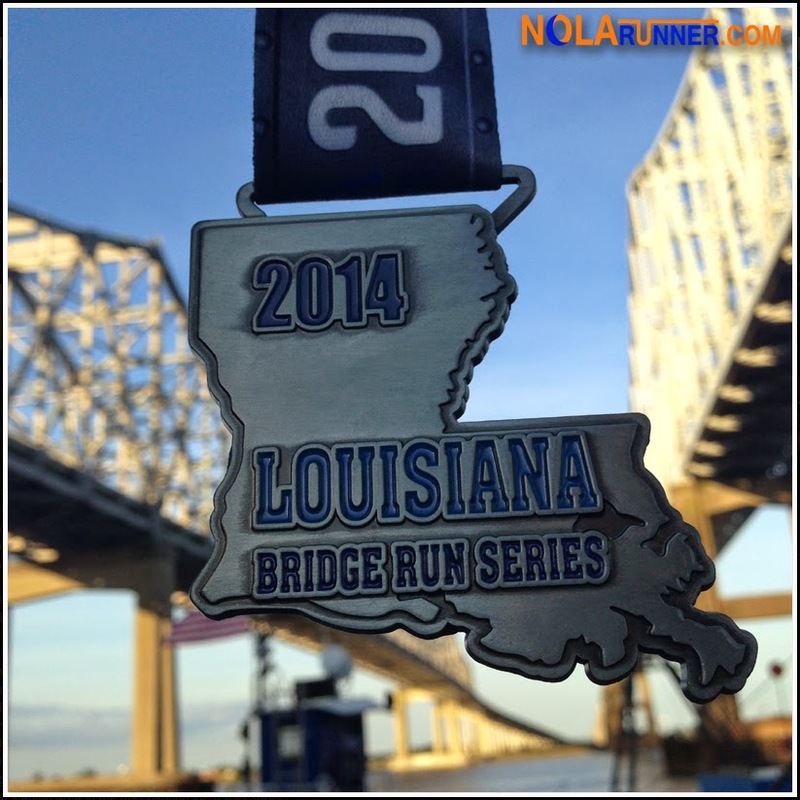 Last Saturday evening's Crescent Connection Bridge Run capped off the 2014 edition of the Louisiana Bridge Run Series. At the conclusion of that race, participants who had taken on the Luling, Huey P. Long and Crescent City Connection Bridges were rewarded for their efforts. They were bestowed this fancy medal to the left. This year's King and Queen of the Mississippi River were Ian Carr and Jaime Sauer, who each finished the series with the lowest collective time from all three races. It was Ian's second straight title at the series. Age group awards were also presented at the post race ceremony. I missed the existence of an awards ceremony social like the one that concluded last year's Bridge Run Series, as it brought participants together for an informal gathering away from the races. Hopefully, that's something considered for future years. I'm STILL a fan of the idea to add a Causeway Bridge Run (Marathon) to the mix and have an Ultra-Bridge Run Series. Any takers for that? Currently in progress is the NOLA Trail Run Series, continuing this Saturday with the Armadillo Trail Run in the Spillway. Click HERE for more info on those races!